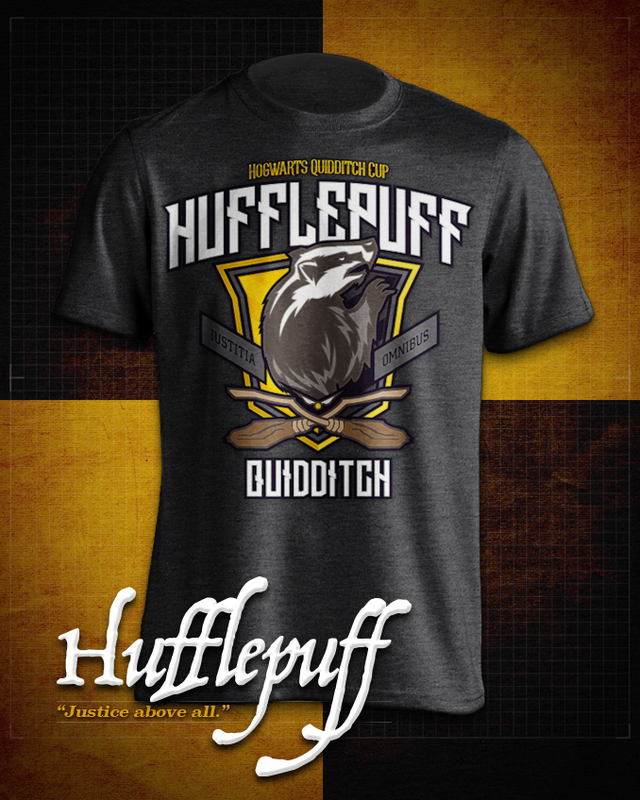 And so, by popular demand... represent your house team with your very own Quidditch team t-shirt!! Each of the house designs will be printed on 100% cotton tees for the house color shirts, and a 60/40 cotton-poly blend for the dark heather grey tees. I have also provided links to the product information pages for everyone, they are located at the bottom of the page. Now, after working over the numbers from the initial interest from everyone I have been able to get the cost of the shirts down to $20 per shirt – this price INCLUDES the cost of shipping. The ordering form is located at the bottom of the page and all payments will be handled via PayPal. If anyone has a question that is not answered here on this page, or if you simply would like more information about ordering, shipping, the designs, what material is at the core of my wand, why the Firebolt is my broom of choice, etc., please do not hesitate to get in touch with me via email: cody@temerity-design.com. 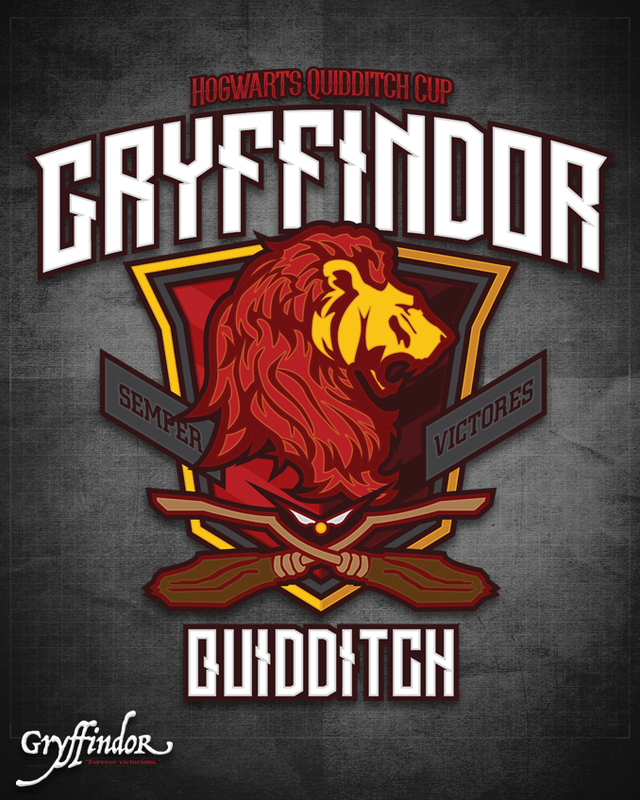 You might belong in Gryffindor where dwell the brave at heart their daring nerve and chivalry set Gryffindors apart. 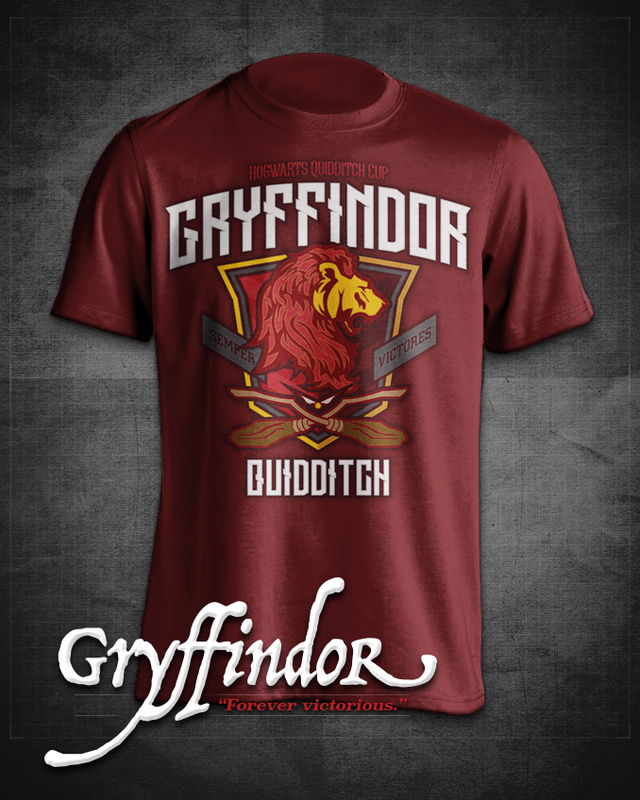 T-shirt is available in Adult sizes in both Dark Heather Grey and House Red. Also available in youth sizes in Charcoal and Red. 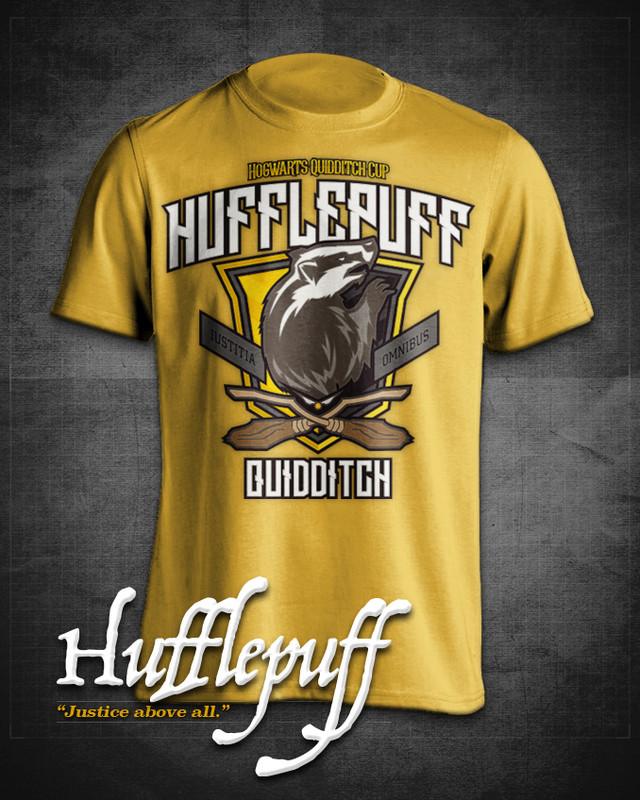 T-shirt is available in Adult sizes in both Dark Heather Grey and House Yellow. Also available in youth sizes in Charcoal and Yellow. 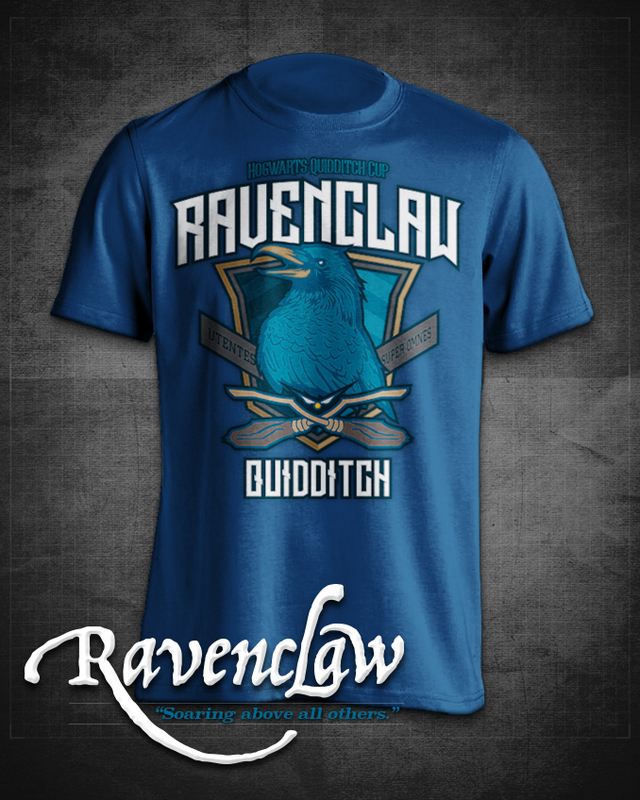 ...Or yet in wise old Ravenclaw, if you've a ready mind, where those of wit and learning will always find their kind. T-shirt is available in Adult sizes in both Dark Heather Grey and House Blue. Also available in youth sizes in Charcoal and Blue. 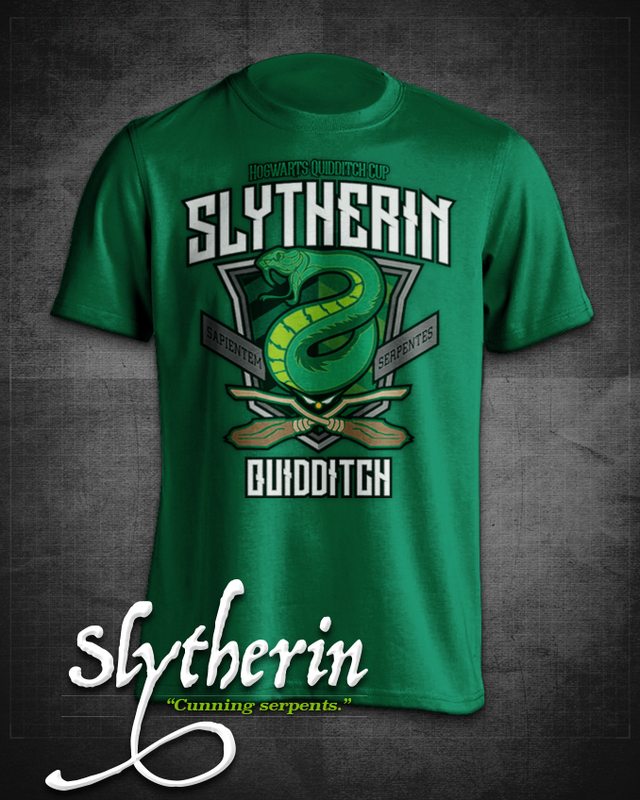 ...Or perhaps in Slytherin you'll make your real friends, those cunning folks use any means to achieve their ends. T-shirt is available in Adult sizes in both Dark Heather Grey and House Green. Also available in youth sizes in Charcoal and Green. Click the button below to open up the Ordering Form, fill it out completely, and then click 'SUBMIT' to send your order over. Once your order is received you will be contacted via the email you provide in the form for payment instructions via PayPal. I cannot thank you all enough for the overwhelming support for this project!! Email address at which you would like to be contacted for payment information. Please provide the address to which the shirts will be delivered. If there will be multiple addresses for the order please list them in the "T-Shirt Order" section of the order form and indicate which shirts will be included with each address. Thank you so very much for your order!! You will be contacted very soon at the email address you provided in order to complete payment for your order via PayPal.